Several players have asked me how to calculate the shell points. So, here’s the rules. 1. You get points depending on how many shell points you spend.1 shell point=1 overall point, very simple, isn’t it? 2. More shells you flip the more points it cost. First shell you flip cost 1 shell point , and fourth shell will cost you 2 shell points. 3. You can choose manual mode in reward mode page, different reward cost different amount of diamonds. Random mode is free, but you don’t know what you will get actually. 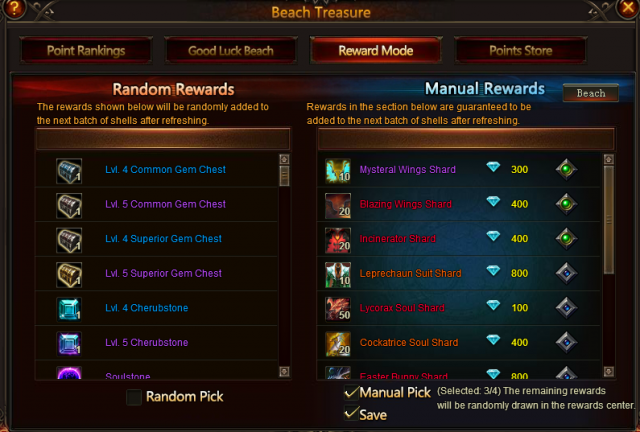 Tips, Manually picked items will appear in the next batch of shells after refreshing. And you can multi-choose the items in this page. 4. Player can use point to buy special items in Points store. And the points you spend here won’t influence your overal points. So, just pick what you like. 5. 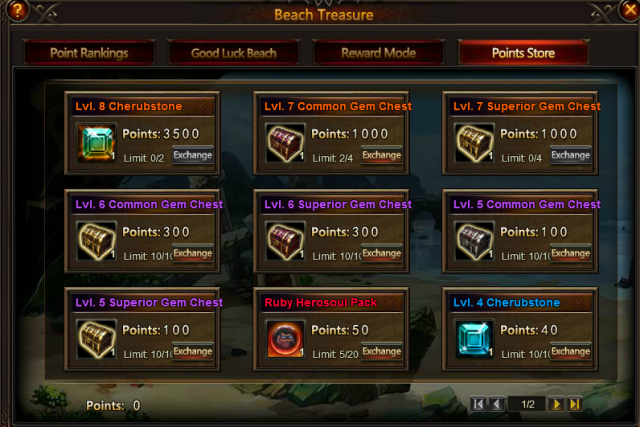 If you have bought all the items in the points store, but you still have lots of points left, don't worry, the Beach Treasure will be available about once a month, so your left points can be used in the next turn. 6. Please take notice of our Hot Events, we have open a new event that offer more shell points for players. Enjoy the game!